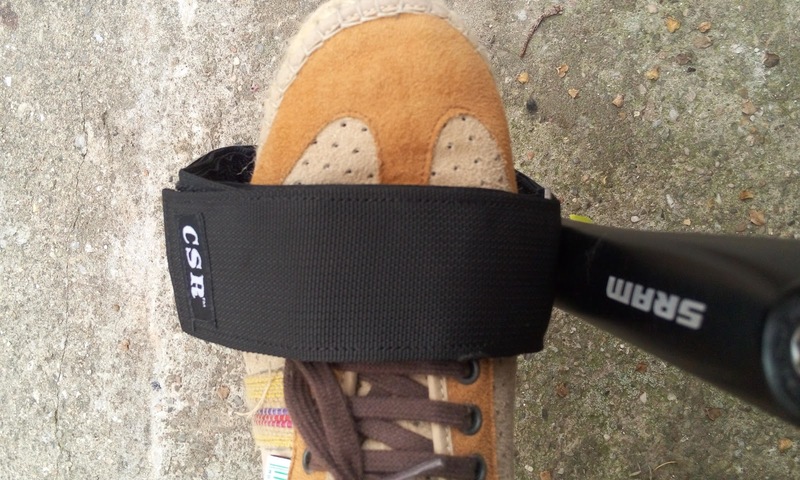 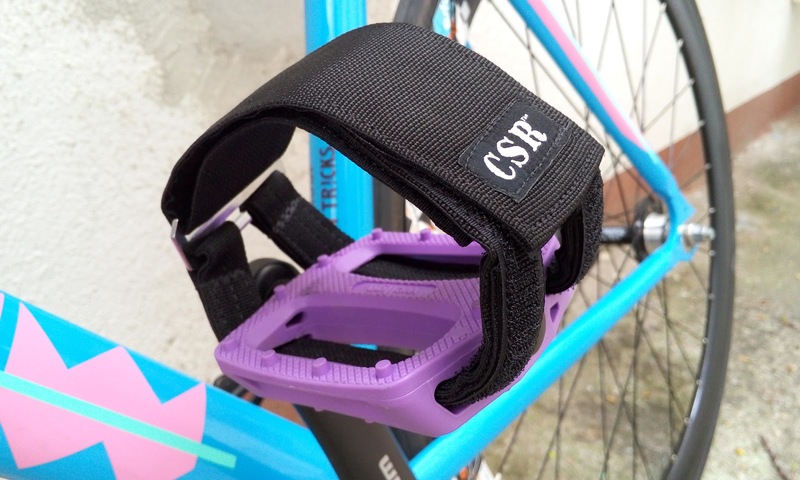 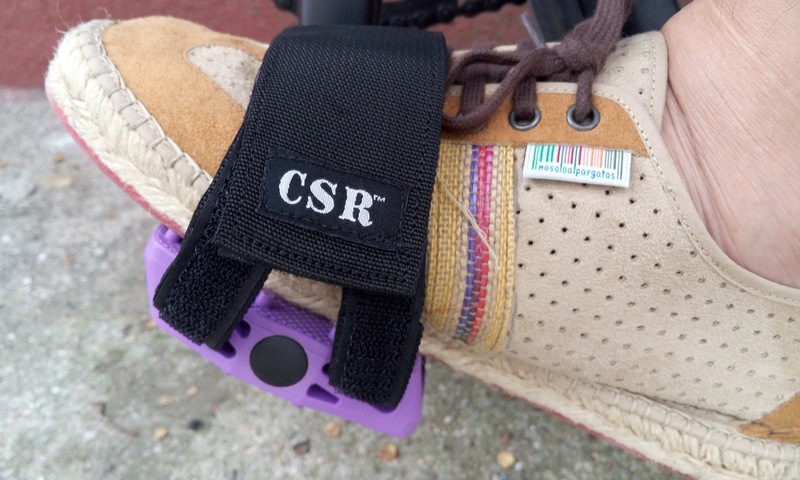 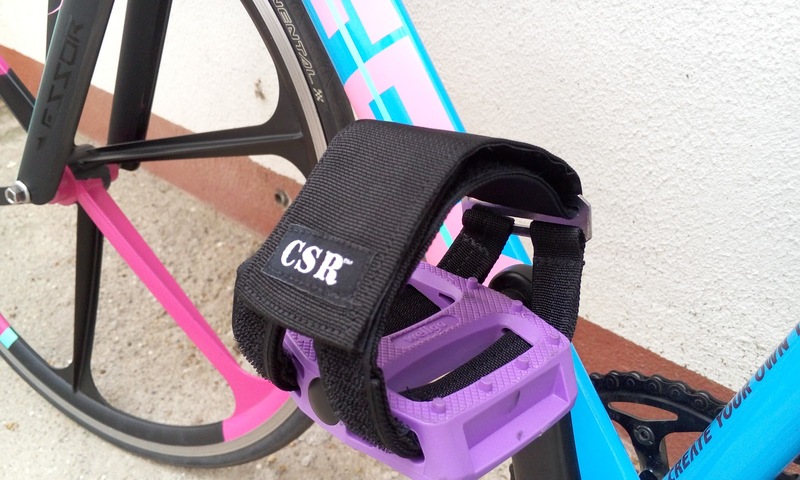 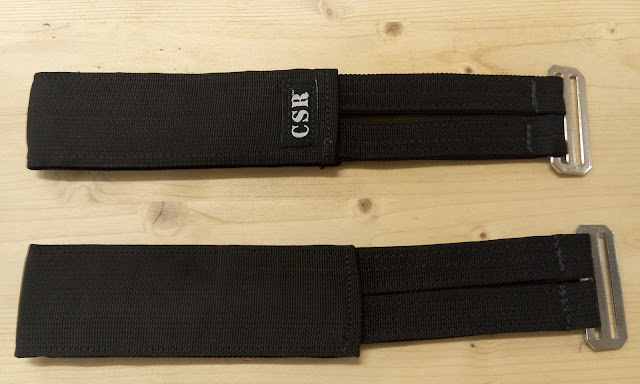 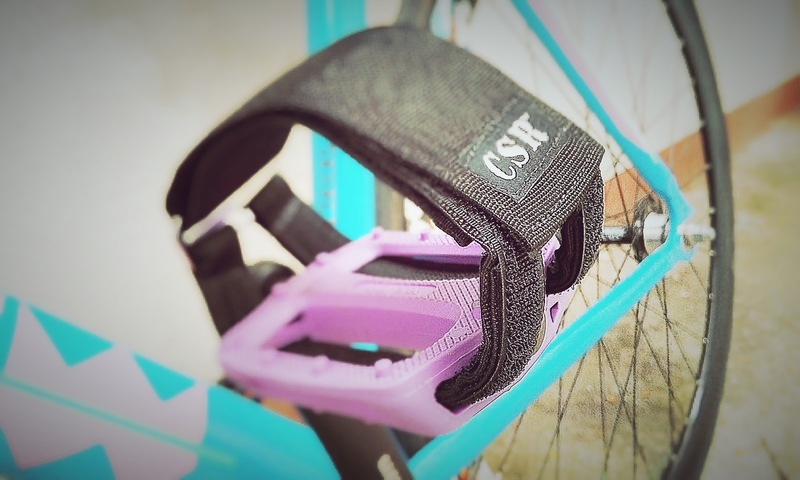 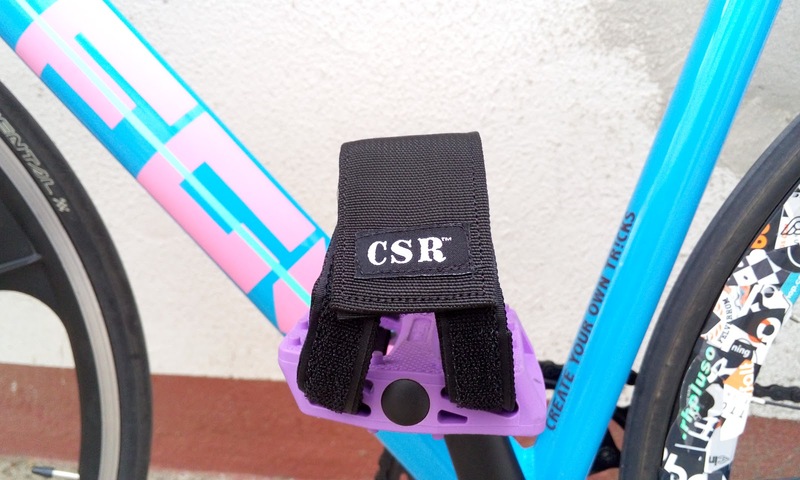 Here we have another week with a new product review, in this case, the CSR Hand Made Pedal Straps! 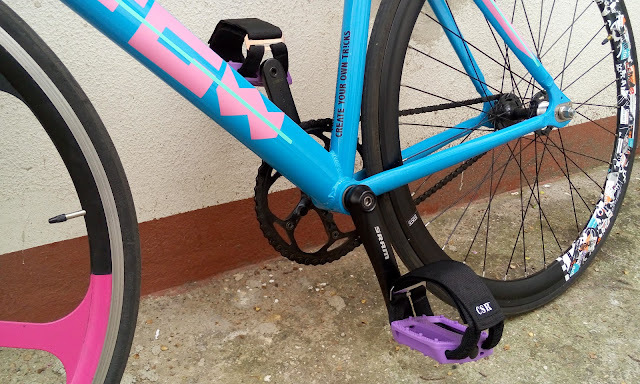 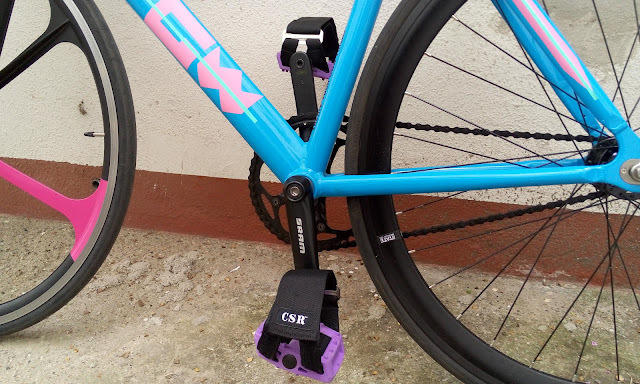 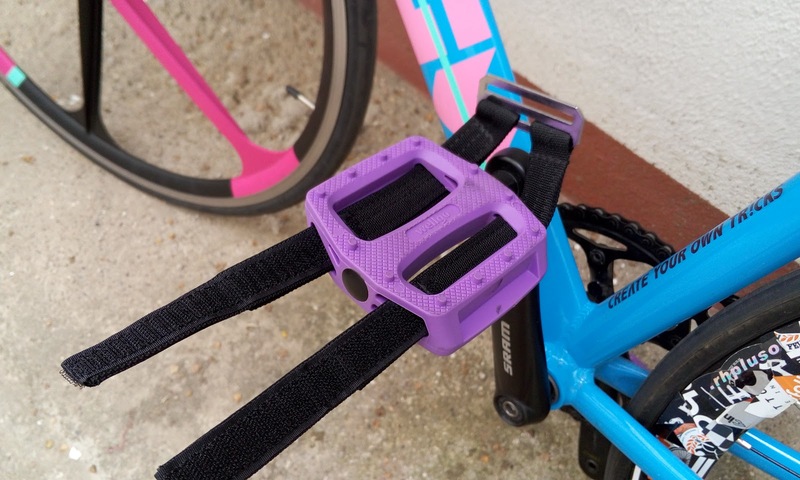 Pedal straps are a "must have" product for fixed gear riders, we need it to skid and stop in some situations, our pedal straps are the one of the most important part of our retention system. And Amit, from CSR has made these hand made pedal straps with the best materials. 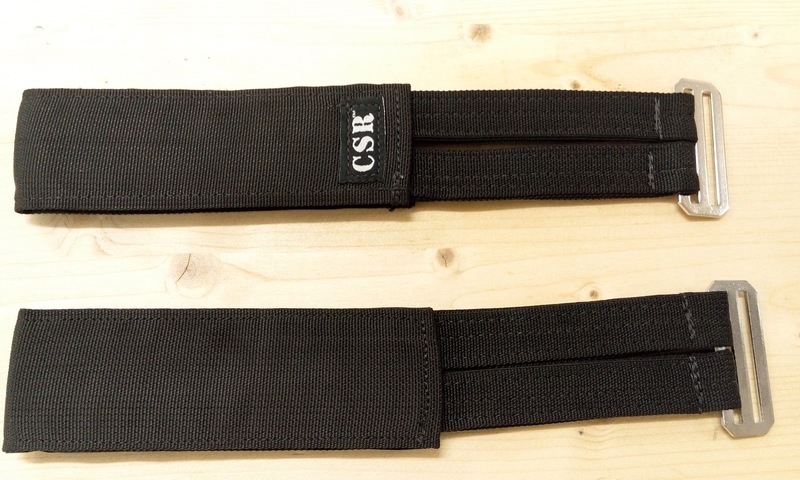 Our pedal straps comes in all black color, with the logo in external side of the straps. 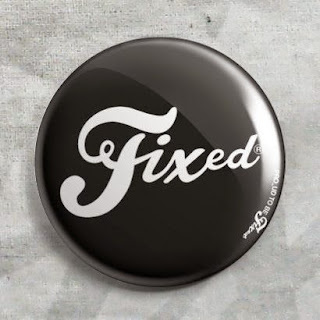 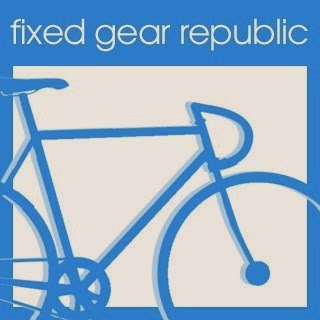 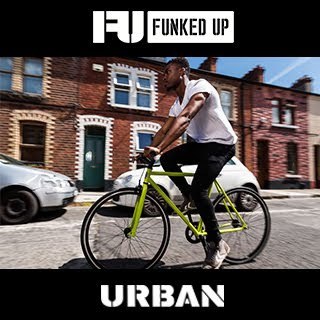 Simple and useful, is only you need to ride with your fixie! Designed and tested by professional riders and made from the best materials, these straps will keep up with even the hardest riders. 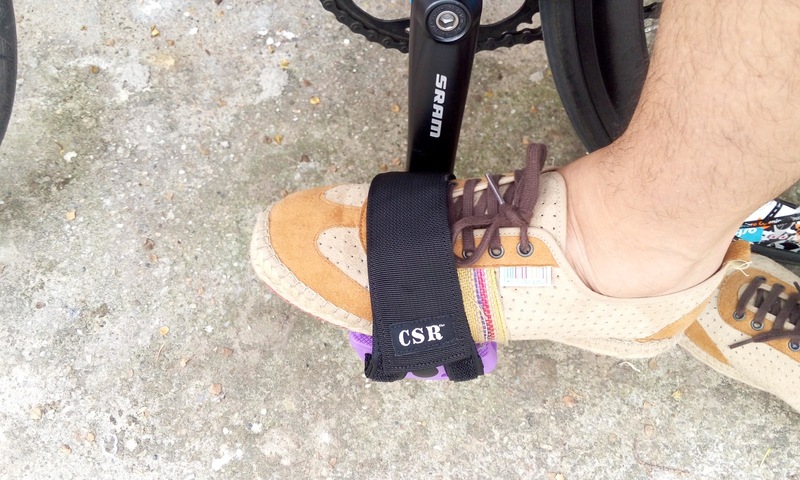 Fully adjustable to fit any shoe size, I have tested it with a summer shoes size 44, and no problem fitting and riding. Quick and easy installation. 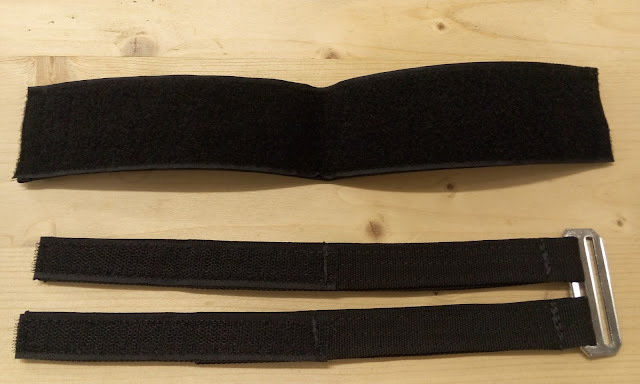 Less than 5 minutes in our case. 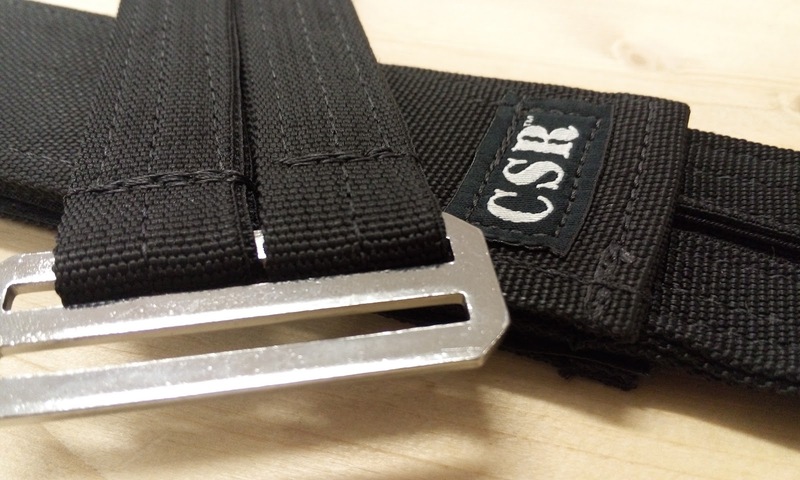 Industrial metal hardware, seems strong. 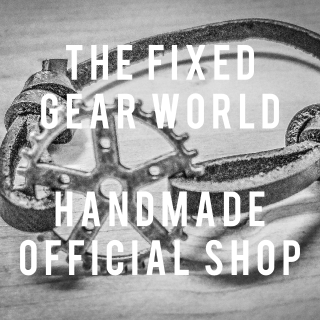 Hand-made by top craftsmen, with a professional finish. 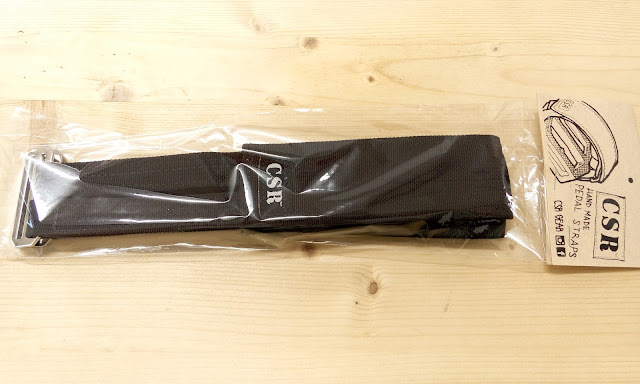 In the next photos you can see what is in the package when you receive it, basically the straps and a short instructions of installation. 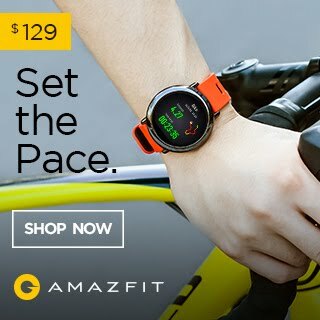 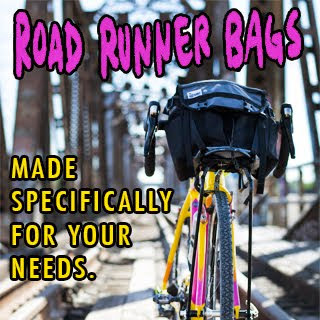 You don't need anymore...only go out and test it! 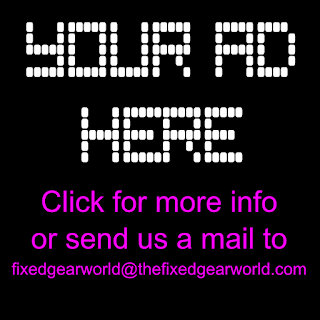 As I said before, install them in your pedals is really easy, the only advice I can give you is, review your pedals, to install the CSR pedal straps you need pedals with holes to introduce the bands under your feet, most pedals have it. 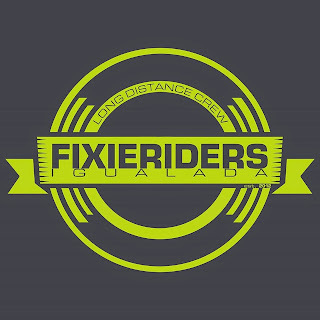 Here you have some images installing, fitting and testing them in our State Bicycle fixed gear. 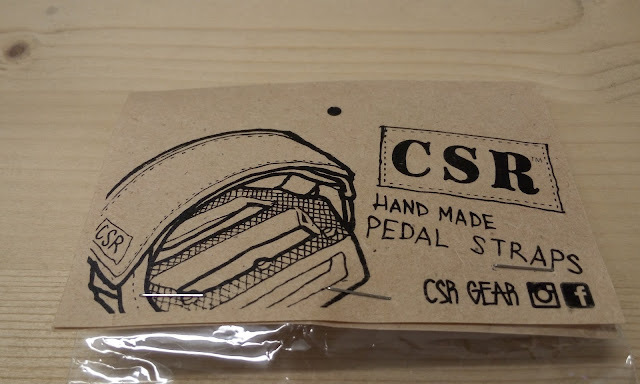 At CSR we pride ourselves in making the highest quality gear for the urban cyclist. Being fixed gear cyclists ourselves, we started CSR out of passion for riding bikes, so we know how to make products that get the job done. 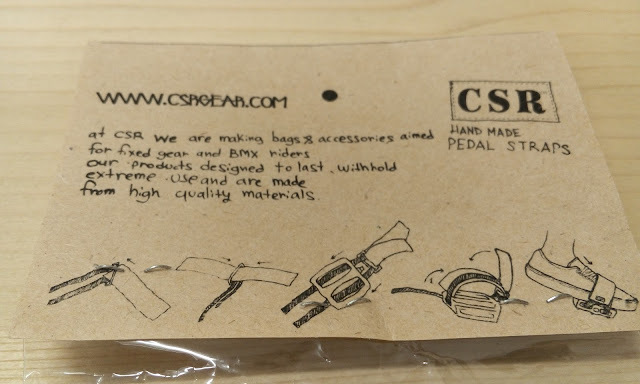 All our products are hand made by our professional team of craftsmen using the best materials available so that you can be sure they withstand even the toughest conditions.